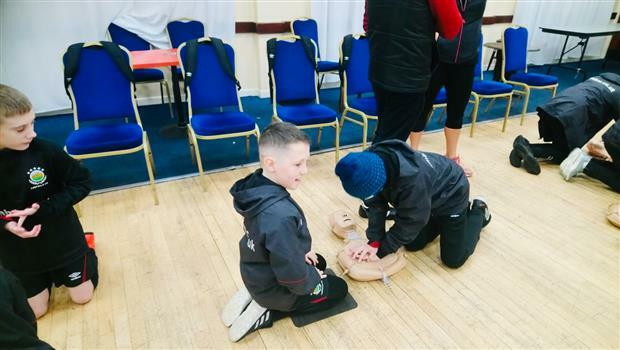 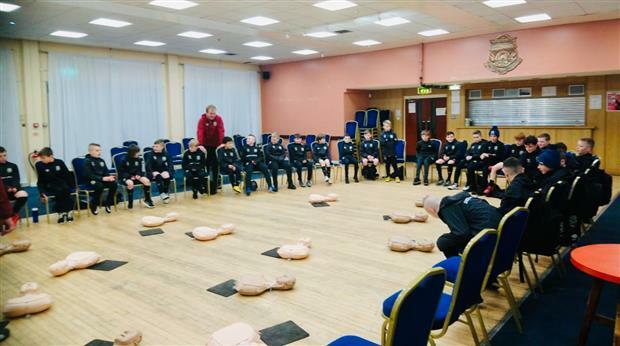 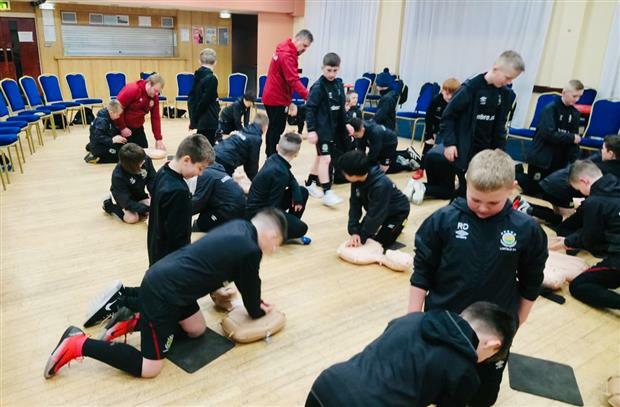 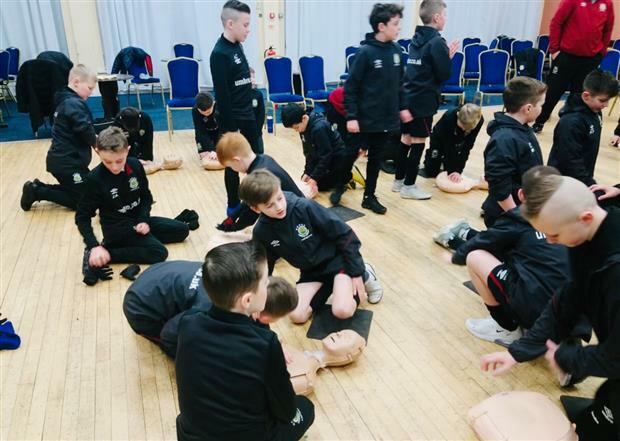 Both the 2008 and 2007 Academy squads recently attended CPR and Defib training at Forthriver 3G facility. 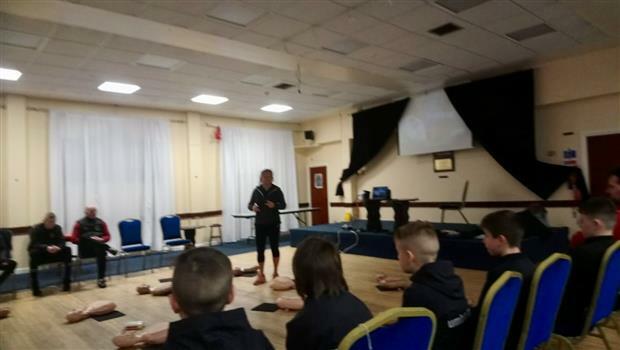 Instructor Martina McConville received a very warm welcome from the players who thoroughly enjoyed her excellent tuition on the night. 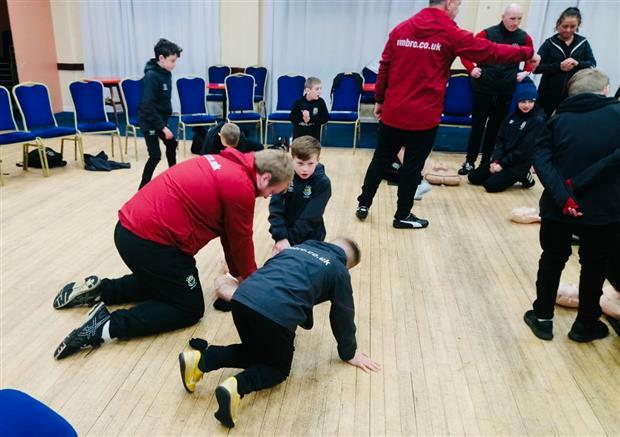 Both coaches Kyle Dawson and Darren Devlin thought it was a worthwhile exercise for both squads; in that hopefully the players would have more confidence in assisting with such a circumstance in the future. 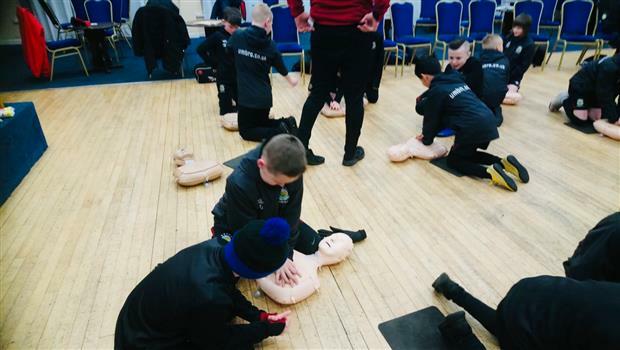 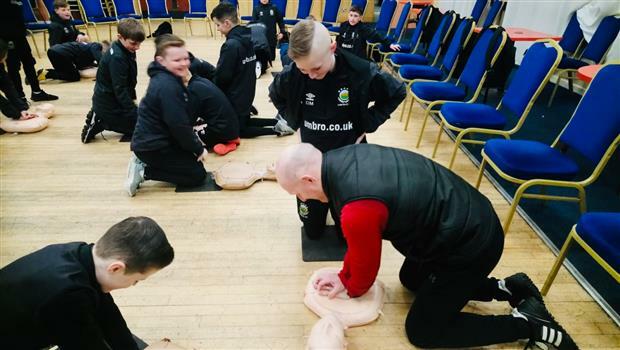 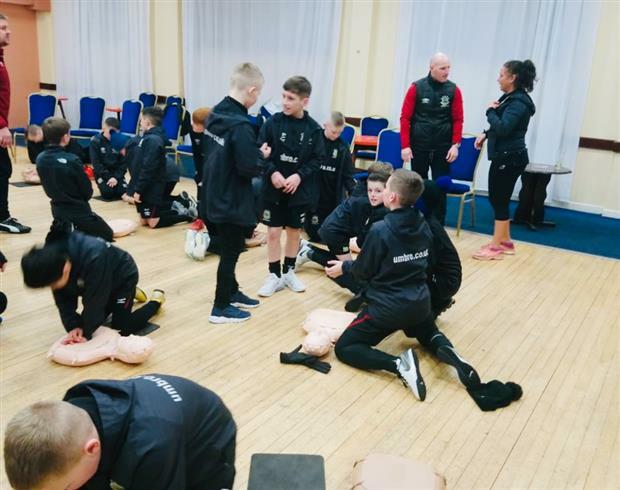 This is part of the ongoing pastoral care education programme within the Academy; with the players also enjoying an internet safety chat with local neighbourhood police back in November.